Lexington, KY's best source for lunch, dinner, party foods, kitchenware, gifts and more. 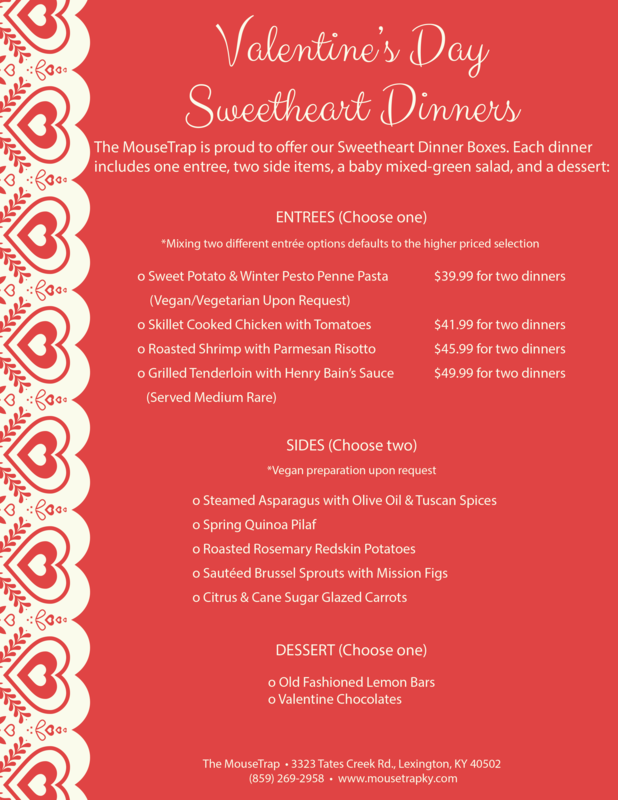 Check out our Valentines dinner menu! Going out to eat on Valentine’s Day means crowded restaurants, but making a big, home-cooked meal is a lot of time and work. The solution? 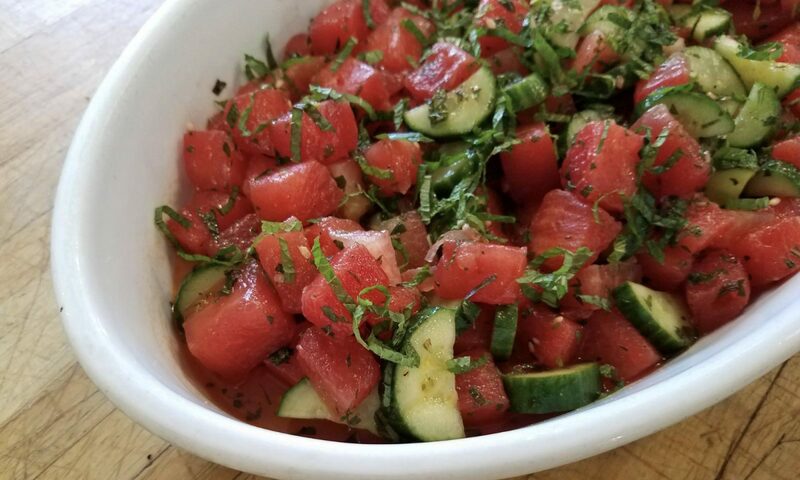 Let our expert chefs do the cooking for you! 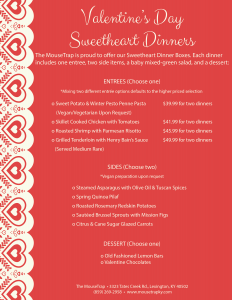 Pick up a pair of our Valentine’s Day Sweetheart dinner boxes and serve them at home for a no-fuss, intimate evening — all you have to do is light some candles. Previous PostPrevious Help us support Kerrington’s Heart! Want the latest news about The MouseTrap? Get our newsletter for exclusive access to sales, coupons and events. We pledge never to sell or share your information with anyone.